Surf Camp located in Arrifana, Aljezur’s main beach, once a remote destination yet still very much of a gem. Top surf camp with amazing scenery. Arrifana Surf Camp is the perfect place to start exploring one of the most remote surf destinations in Portugal, yet well known for its beautiful beaches, lazy sunny days, perfect offshore winds and waves for everyone, amazing landscape and food. 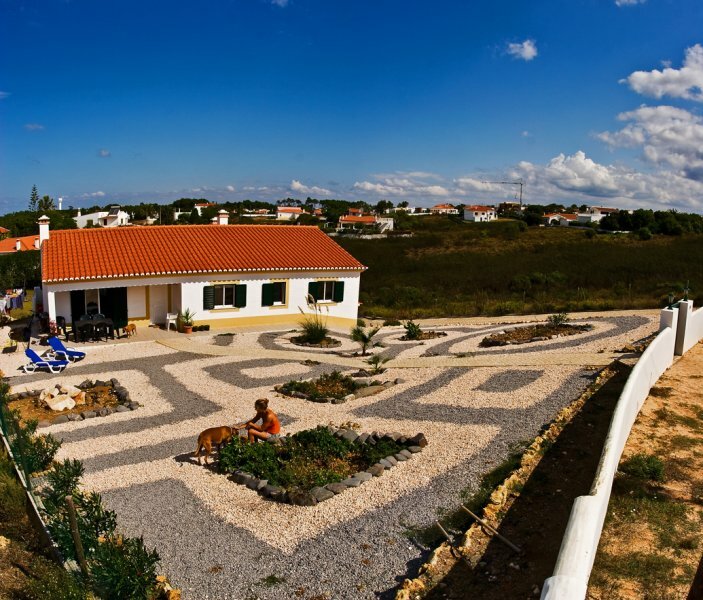 Close to Sagres and other surf towns in Algarve, Arrifana will be ideal for surf holidays in Portugal. Free transfers to and from Lagos are unavailable between 12pm and 6am. All rooms with private bathroom? 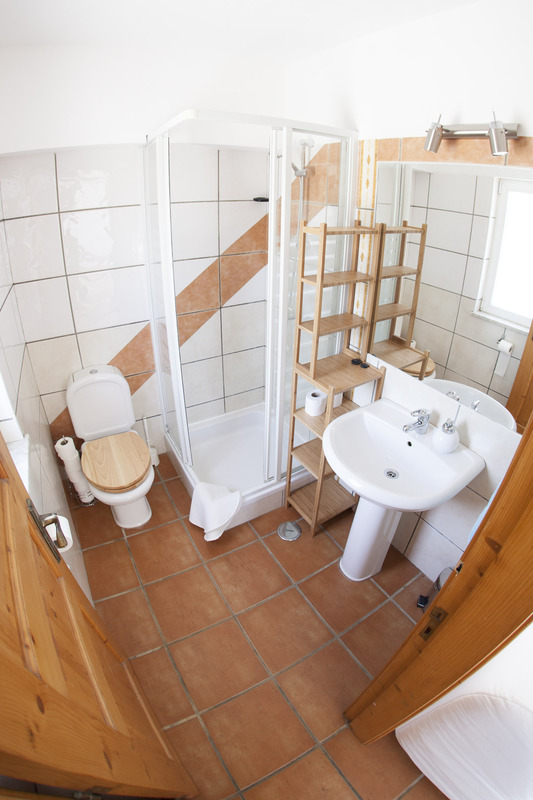 The shared room has it's own bathroom but all the private rooms have a bathroom right outside the room and are shared with one other room. Arrifana is one of the most popular and beautiful beaches of Algarve's West Coast! Arrifana is one of the most beautiful little villages of Europe, with a bay shape and commonly associated to Aljezur's main beach. 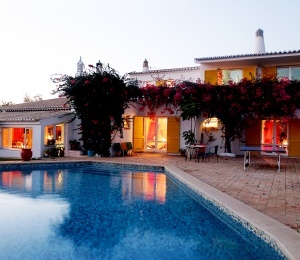 This is one of the most popular, yet still very cosy, surf towns in Algarve, South Portugal. This surf town offers a perfect combination between surf & chill out atmosphere. Despite the fact that it became increasingly popular over the last few years, it still keeps its own relaxed pace surrounded by a genuine surf spirit. The Western coast of Algarve is an ecologically protected area, and one of the few remaining wild coasts in Europe with no real estate resorts on sight due to its protected Natural Park. Costa Vicentina remains virgin, offering incredible surf spots, most of them not crowded during the offseason from October until June. In Algarve you will also be able to combine surf with plenty of outdoor activities, like sky diving, paragliding, diving, horse riding and mountain biking. Feel free to add some of these experiences to your surf lessons package. Make it the perfect combination for your surf trip in Portugal! 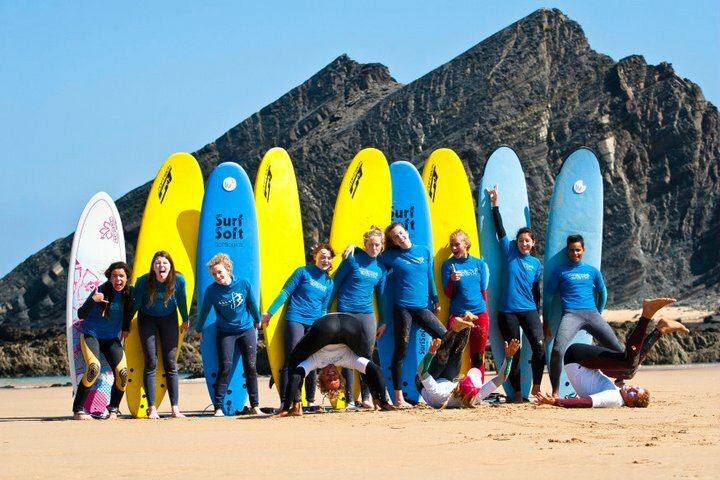 Arrifana Surf Camp and its surf school offers everything you’ll need for some relaxed surf holidays in Portugal, just a few minutes from the beach and very close to other surf spots around. The surf camp has several double and twin bedrooms as well as shared accommodation with bunk beds providing you a very strong surf spirit. Arrifana is one of the most beautiful villages on the Portuguese coastline. What was once a small and forgotten fishing village nested on a cliff bay and only visited by Portuguese, German and Spanish "hippies" is now a vibrating surf destination among surfers and many fans of the surf spirit which return every year. No matter how many surf trips you do to Arrifana and to Costa Vicentina, it always feels great. Rest assured that this popularity didn’t change any of its relaxed atmosphere and hang loose spirit. If you’re looking for the renowned surf parties of Algarve, then you'll have to drive a few minutes down to Sagres or Lagos. 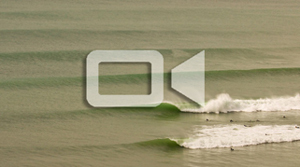 Here, in Arrifana it’s all about chill out and mingling with other surfers. But this doesn't mean you won't get lots of fun, in fact, Arrifana Surf Camp welcomes many small groups of surfers and friends, so you'll get many opportunities for late night fun. The surf camp has 5 rooms that can host a maximum of 15 people at a time. The house has 4 private bedrooms, 1 shared room and 3 guest bathrooms. 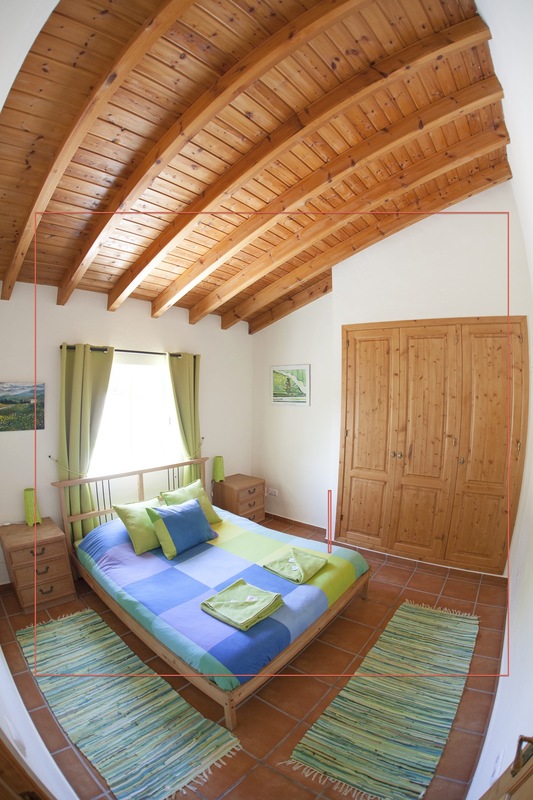 One of the rooms is based on shared accommodation with bunkbeds and an en-suite bathroom. The custom built bunkbeds have its own individual reading lamps and built in storage allowing for a maximum of 6 people. 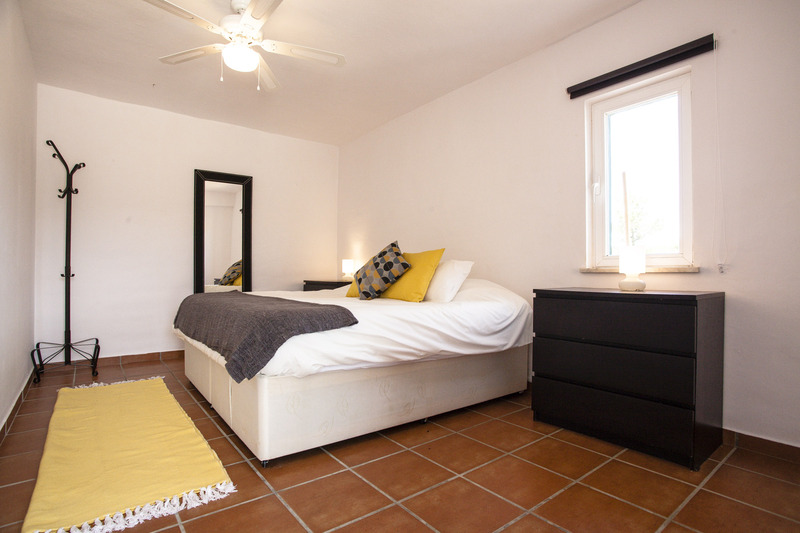 The accommodation includes: bed linen and bath towels. We share the lounge and the kitchen facilities and during the winter we'll keep you warmer at the fire place. There are two terraces with views out to the Atlantic Ocean where breakfast and dinner are served daily. In one of the terraces we also organize retreat type of Yoga lessons and there's plenty of bean bags and sunbeds for you to relax after a hard day of surf. We pride ourselves on great homemade cooking and plenty of BBQ's, and within walking distance there's also a mini supermarket. There's also nearby restaurants specializing in spicy chicken and in Arrifana Beach there's a nice seafood restaurant and beach bar. The surf camp has computer and TV, free internet and WiFi access throughout the facilities. You can also make free use of bikes and there's unlimited tea, coffee and fruit juice. 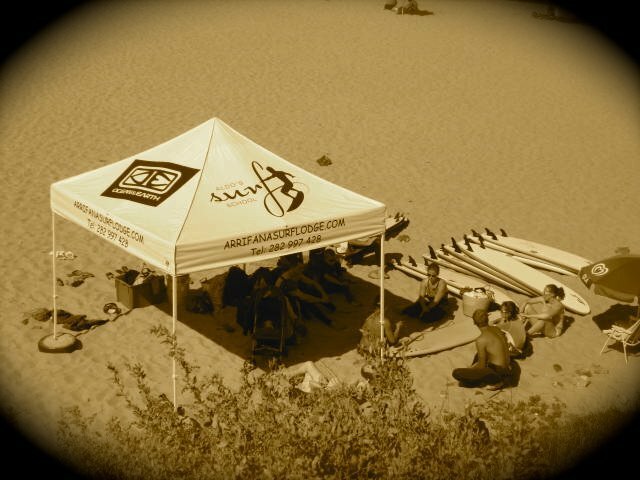 The Surf School has a limited number available for students which means that your surf lessons will be more intense and that surf instructors will have full dedication to you. Make sure to book your surf camp package and surf holidays in advance! Arrifana Surf Camp is only 5 minutes from Arrifana beach and a few miles away from other amazing surf spots in Algarve and peaceful beaches on the Portuguese Western Coast like Carrapateira, Amado, Monte Clérigo and Vale Figueiras. There is a great choice of waves and variety of beach breaks, reefs and point breaks around. We guarantee that the chances for surfing in this coast are very high all year round and for surfers of all levels. The perfect match for your surf trip to Portugal! Arrifana beach is the first choice for many surf schools to practice their surf lessons because of its consistency and protection from possible onshore winds. Also, on big surfing days and when the swell direction hits straight the coastline, Arrifana can still be one of the best surf spots around due to its bay shape offering higher protection. When the swell is really high, it creates a famous point break called Kangaroo due to the way the wave grows! 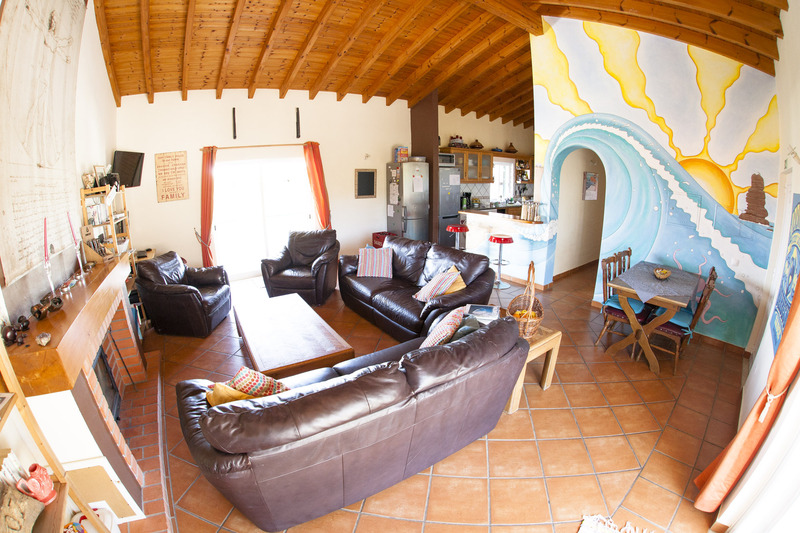 Therefore, our surf school & surf camp in Arrifana offer its guests and surfers the privilege to be one of the most convenient options within a very short distance to the beach. Arrifana has a lengthy sandy beach, one of the best surf spots in Portugal for beginners to learn how to surf. On the right hand side of the beach, there is a famous surf spot for its challenging conditions and waves that pump. This point break called Kangaroo or "Kangas", among the locals and is formed by sand bar and rocks which on big days requires a lot of experience. Kangas, works better with 2 and 2.5 meters swell and medium tides. Surf in Arrifana is always busier during the summer months and holiday periods. Most of the best surf breaks in Algarve are located close to Arrifana. For experienced surfers, we can organize on request guided tours to some of these surf spots. This package is recommended for skilled surfers who know what they want and search for local knowledge of the swell, tides, winds and beach breaks. The Algarve's western coast is one of the best surfing destinations for experienced surfers from all over the world and well known for its consistency. The cool surf spirit, specially flowing during summer on this remote part of Europe gives you the genuine taste of surfing lifestyle. Come and see for yourself what makes Arrifana one of the most desirable places for surf holidays in Portugal. SURFINN © 24-04-2019 02:45:28. ALL RIGHTS RESERVED.